Minutes into Afghan President Hamid Karzai's speech before the Afghanistan Donor Conference in Paris, he congratulated his country on its "independent media," which, having "grown exponentially" since the ouster of the Taliban, is a harbinger of Afghanistan's imminent rise to respectable statehood. With a fresh infusion of development dollars, no doubt, Karzai could build on the thriving infrastructure, cultivate a legitimate civil society, educate girls, smoke out the extremists, and generally rid the world of its turbaned bogeymen. Not everyone buys that. Though the telecom infrastructure in Afghanistan is growing at a pace that exposes confounding contrasts—kids download videos on mobile phones while their houses lack electricity for much of the day—the mainstream press hasn't grown up as fast. Given expanding access to eyes and minds, the national press isn't as sophisticated as it could be. 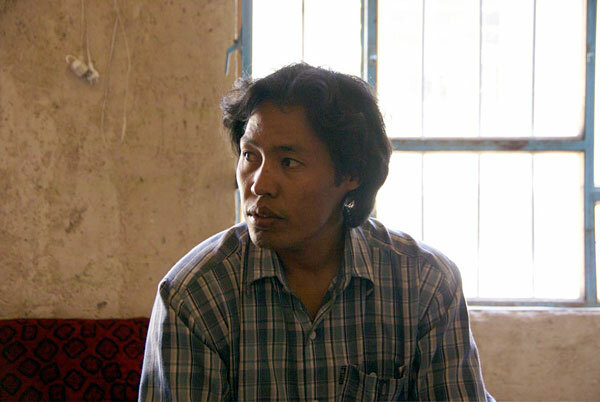 "Fekrat's facial features are distinctly Mongoloid, in accordance with his Hazara heritage. His skin is rough and his look rugged, powerful in a primitive way; a rack of oversize teeth is arranged in what might best be described as a rebellious manner. He's fiercely independent, even irreverent, but then he's never had a reason to believe in the benevolence of a higher authority. Fekrat's father wanted him dead by the time he was 12 because Nasim didn't care for Allah and couldn't remember to pray, so he spent his adolescence fending for himself. He taught himself English, photography, journalism, the anatomy of the Internet, and he put it all together by posting his thoughts and photographs online. Then he started encouraging others to do the same and raising money on his Web sites so he could go into the provinces and spread the gospel".